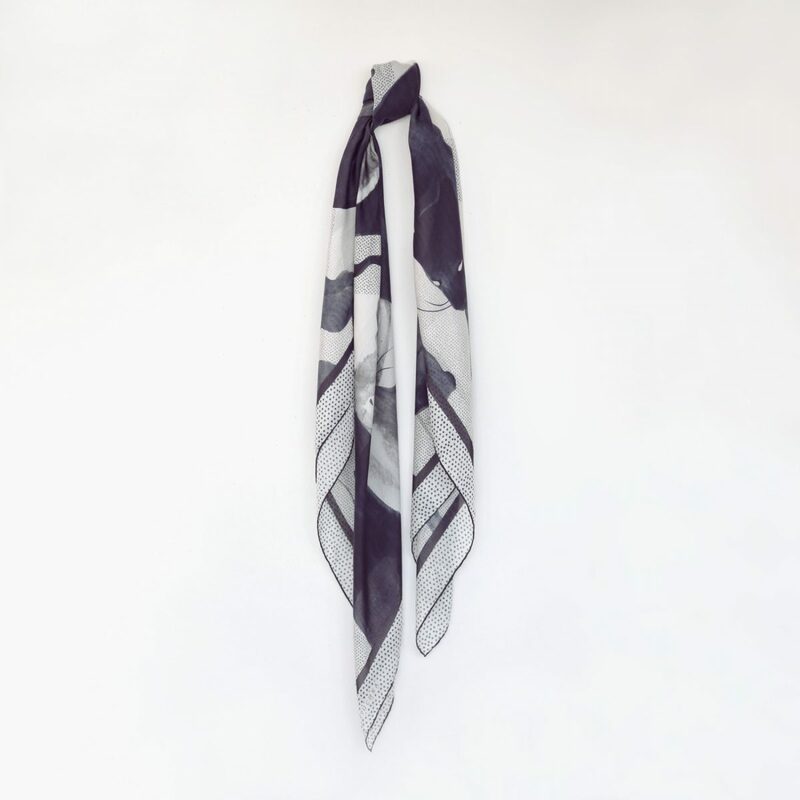 | 135×135 cm, oversize scarf. | this design was painted by hand, inspired by a story. 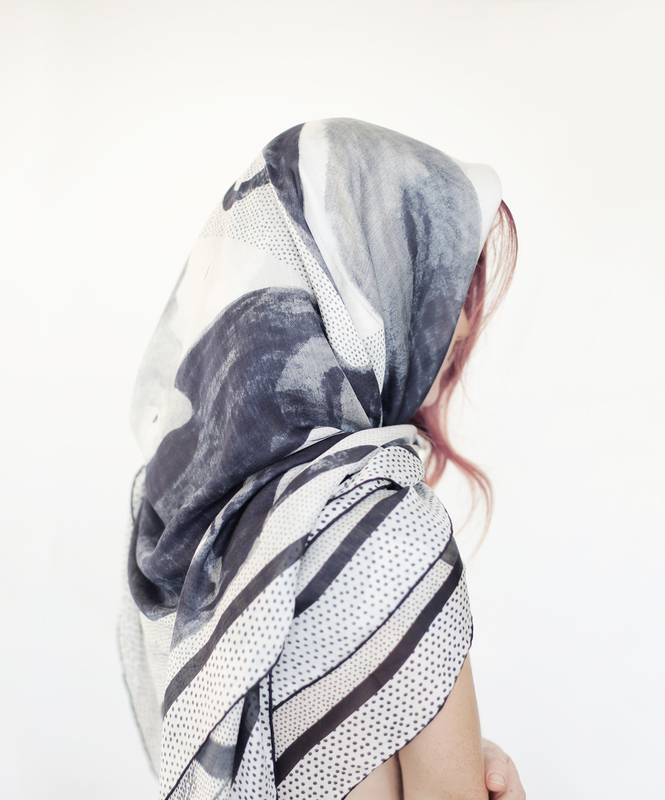 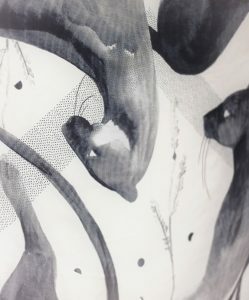 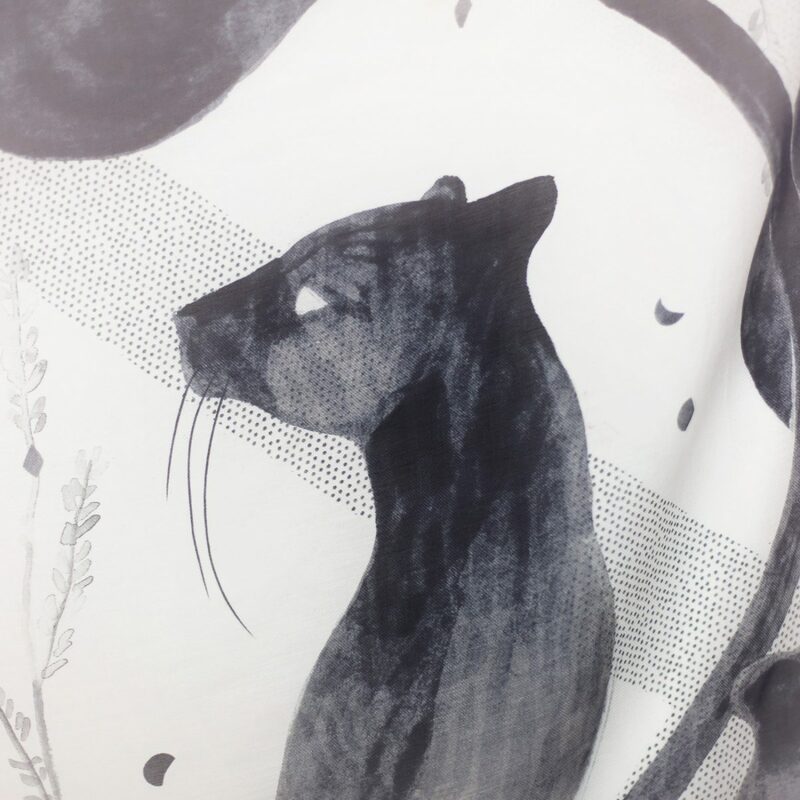 | digitally printed on a fine lightweight italian fabric. 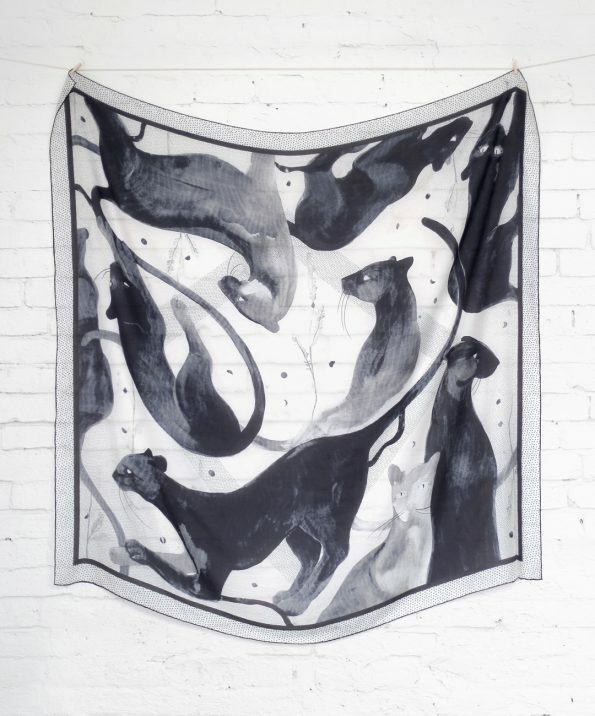 | 80% Modal 20% Silk.